The Church teaches that marriage is a covenant that establishes an indissoluble and exclusive partnership between a man and a woman. It is a vocation that fosters the good of both and naturally leads to the procreation and education of children. A declaration of nullity is a decision rendered by a Marriage Tribunal, acknowledging that the sacred bond of marriage was never established between a couple. Such a declaration is commonly requested by someone who wishes to remarry in the Catholic Church. A civil divorce must first be finalized. The Petitioner then submits a detailed application form to the Tribunal office. If the case is accepted, Tribunal personnel begin the process of gathering evidence and submitting the case for judgment. 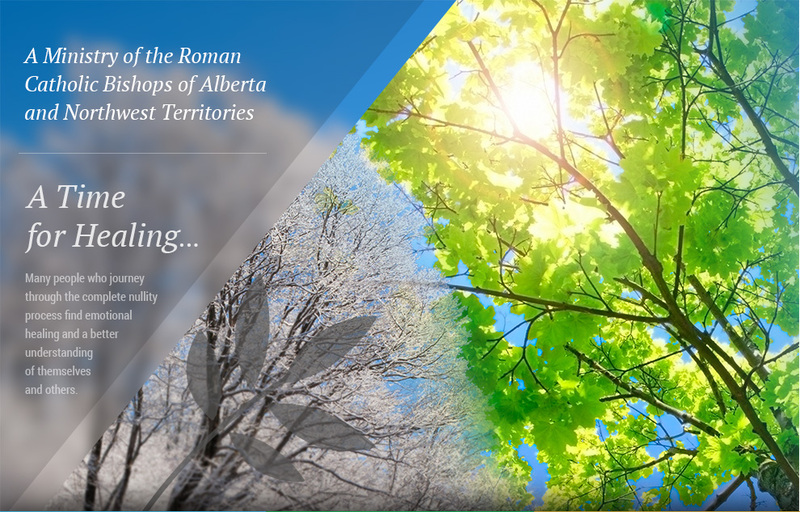 The Interdiocesan Tribunal of Edmonton is a ministry of the Roman Catholic Bishops of Alberta and the Northwest Territories. The Tribunal has a staff of specially trained and experienced priests, religious and lay persons who serve as part of the Church’s healing ministry. We offer assistance to people who request the Church to study a marriage in order to determine whether or not there are any grounds acceptable in church law for a Declaration of Nullity. to work for the good of persons.